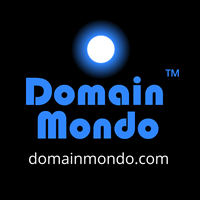 Domain Mondo's weekly internet domain news review (NR 2018-08-26) with analysis and opinion: Features • 1) ICANN & GDPR EPDP Meetings this week, 'WHOIS Is Mostly DEAD' Says Dr. Paul Vixie, 2) a. KSK Rollover, What to Expect, b.New gTLD .AFRICA, c. Public Comment at ICANN, 3) Names, Domains & Trademarks: a. France.com, b.China, c. Transfers, 4) ICYMI, 5) Most Read. ICANN EPDP Team Meetings* this week: Tuesday Aug 28, and Thursday Aug 30, 13:00 UTC, 9am EDT. Non-members of the EPDP Team can follow the EPDP meetings via Adobe Connect: https://participate.icann.org/gnso-epdp-observers, or audio cast via browser or application (e.g., iTunes). *Each EPDP meeting's links to documents, transcripts, MP3 audio and Adobe Connect recording, will be posted here, as made available by ICANN (links to EPDP meetings' transcripts are usually posted on the GNSO calendar within 24 hours). See also EPDP Team wiki, mail list, Temp Spec, EPDP Charter (pdf), and AC/SOs responses to request for early input. a. Editor's note: the core questions completely missing thus far in the EPDP: Specifically, WHAT registrant data does ICANN need registrars to collect from registrants, and WHY? My answer (which I have given before): NAME of the legal entity or person registering the domain name (i.e., the "registrant"); ADDRESS of the registrant (for contacting registrant concerning the domain name); EMAIL address for contacting the registrant concerning the domain name; PHONE number for contacting the registrant concerning the domain name. Anything more (for ICANN's purposes), is redundant, unnecessary, violative of the GDPR, including data minimization requirements (see ICANN vs EPAG), and in the case of fax numbers, an even more serious cybersecurity risk. The registrar may collect billing and other data in compliance with the GDPR, but that is none of ICANN's business, and should be beyond the scope of the EPDP, Temp Spec and policy. Frankly, the faster the EPDP can reach consensus on the above, the faster they can begin addressing access & accreditation issues. High-Level Notes and Action Items are here. Meme of the Aug 28 meeting by James Bladel (GoDaddy) (EPDP Team member) via Twitter. Chat Transcript (pdf) embed below; Notes & Action Items; RySG and RrSG Request GDPR Training for EPDP members and alternates. "This EPDP Team is being chartered to determine if the Temporary Specification for gTLD Registration Data should become an ICANN Consensus Policy, as is or with modifications, while complying with the GDPR and other relevant privacy and data protection law." Little of substance has been accomplished thus far, as the EPDP Team has essentially wasted the month of August preparing a "Triage Report" for the GNSO Council that could have been completed in the first week with a simple survey, or even better, eliminated from the Charter altogether. EPDP Team Chair Kurt Pritz continues with his long, rambling monologues, mostly ignoring suggestions and comments from the more functional, and definitely brighter, EPDP team members. A face-to-face EPDP meeting has been scheduled for September 24-26 in Los Angeles, but at this rate, it's looking increasingly doubtful whether much will get done. The EU GDPR was adopted on 27 April 2016 and published in the EU Official Journal on 4 May 2016. ICANN has had an office in Brussels for more than 10 years (pdf) and European Data Protection authorities have been warning ICANN about its public WHOIS data since 2003, and yet, neither ICANN nor the U.S. government's NTIA warned the "global multistakeholder community" about the ramifications of GDPR for ICANN and its public WHOIS directory, before the IANA transition was completed October 1, 2016. Neither the dysfunctional "ICANN Community" nor their expensive law firms, which received $15 million in legal fees preparing for the IANA transition, ever mentioned the GDPR as a "risk factor" or otherwise. Dr. Paul Vixie discusses the uncertain fate of WHOIS in the age of GDPR, the risks of domain name homographs, and other underpinnings of the internet that are hard to trust and harder to fix. Video provided by, and also available at darkreading.com if the above does not play in your browser, recorded at Black Hat 2018 USA. Government of India's views (pdf) on ICANN's Unified Access Model (pdf) ("overly complex") and EPDP. ICANN Board reaffirmed Temporary Specification for an additional 90-day period on Aug 21. ICYMI: Internet overseer continues wall-punching legal campaign ICANN appeals its appeal and tells German courts yet again that they're wrong | theregister.co.uk: "... At some point, however, failed legal argument after failed legal argument starts to point to something much more concerning: that the organization [ICANN] in charge of overseeing the internet's naming and numbering systems is not capable of doing its job." --former ICANN staffer Kieren McCarthy. ICYMI: ICANN's ePDP - An Insider's Perspective | circleid.com: "... There really is no clear path forward if this group is unable to produce a final report with specific policy to replace the temporary specification when it expires in May of 2019. If that were to happen, it's not a stretch to think it would call into question the overall ability of ICANN (and the community) to manage the global DNS ..."--EPDP Team member Matt Serlin. "... the user will start seeing failure sometime in the 48 hours after the rollover. Users will see different symptoms of failure depending on what program they are running and how that program reacts to failed DNS lookups. In browsers, it is likely that a web page will become unavailable ... In email programs, the user might not be able to get new mail, or parts of message bodies may show errors. The failures will cascade until no program is able to show new information from the Internet. Note that the term “users” here does not just indicate humans. Automated systems that are also using unprepared resolvers for their DNS resolution will start to fail, possibly catastrophically." --What To Expect During the Root KSK Rollover, supra, p. 5, (emphasis added). Lyman Chapin (co-founder and partner at Interisle Consulting Group). Court Order: Trial date vacated; Status Conference scheduled for 25 September 2018.
d. ICANN Global Domains Division (GDD) General Operations Handbook for Registrars 21 Aug 2018: registrar-handbook-21aug18-en.pdf [421 KB], and Registrar Billing Frequently Asked Questions (FAQ) 21 Aug 2018 registrar-billing-faq-21aug18-en.pdf [323 KB]. a. France.com: Miami Man Sues France For Seizing His Domain Name--Marketplace.org podcast (MP3) also available here. Includes commentary by University of Miami Law Professor Michael Froomkin. b. China's first internet court handles over 10,000 cases | xinhuanet.com: mainly civil cases such as contract disputes involving online shopping, service and small loans, copyright and infringement lawsuits, domain name disputes, internet defamation, and some administrative lawsuits. c. Post GDPR gTLD Domain Name Transfers--realtimeregister.com. Google refused a warrant issued by a U.S. District Court Judge to release huge amounts of data. "Will other companies bow under pressure?" --WashingtonPost.com: “Where big data policing and data trails are available it becomes tempting, and maybe too tempting, to take shortcuts with process that should be used as a last resort,” Andrew Ferguson, a criminal law attorney and author of "The Rise of Big Data Policing: Surveillance, Race, and the Future of Law Enforcement." Congress should consider small-business exception to internet sales tax--TheHill.com. From laboratory in far west, China's surveillance state spreads quietly--reuters.com. Google is welcome to return to China—but only if it complies with the censorship regime enforced by the government of China’s internet regulator, according to a report in Chinese state media (the People's Daily)--Newsweek.com. c. Russian hackers targeted U.S. conservative think-tanks, says Microsoft--reuters.com. d. AI: New genre of artificial intelligence programs take computer hacking to another level | trust.org. e. India: India Steps Towards Internet Freedom: DoT Bars ISPs From Blocking Internet Content | inc42.com.